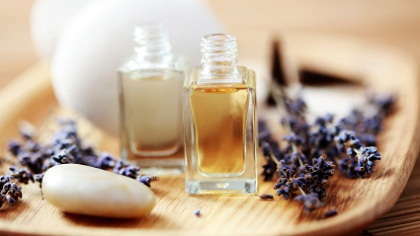 Young Living offers work-at-homers the opportunity to distribute essential oils in a number of methods. D. Gary Young is the founder of Young Living and was involved in a crippling logging accident that almost cost him his life. He went through a very long road to recovery, but never regained the quality of life he had expected. This painfully long road to recovery has led him to explore natural medicine. His drive was his determination to regain mobility without pain. In his search for a better quality of life, he found essential oils to ward off his pain. With this discovery, he was motivated to develop his own organic herb farm and distillation operation. He then designed the most technologically advanced distillery that processes and preserves the integrity of the essential oils. The company offers different membership options to promote the company and to market sales. The distributor is required to share the company and opportunity with others. The distributor is required to recruit and sell merchandise. At least 70% of orders must be sold to customers, preferred customers, and not kept by the distributor. Basically, the products need to be used. To be a Young Living Independent Distributor, the distributor would have a home business and share Young Living with others. To do this, you would purchase one of the five "Start Living" kits ranging in price from $40 to $300. You, as the distributor, would be saving 24% off retail on all orders. The monthly orders would need to be a minimum of 100 dollars before tax and shipping. The commission is based on monthly orders. The target audience for Young Living would be anyone that is interested in natural healthcare and living a better quality life. The best target area would be in the city or urban areas where there is a larger audience. The company is international so there are no geographical limits. The company drop ships so that eliminates delivery. The distributor has more time to spend promoting the business. The application process is very simple to submit online. The recruiter gets compensation for enrolling a new distributor. The compensation plan is very simple and generous. Young Living distributors receive one of the best payouts in network marketing. Network marketing is a very friendly, relationship building type of marketing. The company grows by adding new distributors and educating the public about the superior product offerings. In addition to the compensation plan, there are also bonuses for adding new distributors to the business. The compensation is make typically by adding distributors but can also be make from direct sales. Full and part time earnings are quite substantial, but are dependent on the volume of sales in the business and the volume of enrollments as the business expands. People are looking for answers to health challenges today. The health prevention industry is exploding in the interest of natural health care. The wellness industry is currently a $300 billion dollar a year market in just the U.S. The cornerstone of relationship marketing is work of mouth endorsements. The power of experience is more effective than any other type of advertising. This type of marketing has been around for over 50 years. There are many ways to cash in on Young Living. As a distributor, she can sell products at retail price, enroll preferred customers or recruit distributors. It is a win, win situation for everyone. This business is a good fit for many lifestyles. It is great for stay at home moms with little ones. The business can be done entirely online and by phone. The representative can hold meetings at her home or do Internet presentations. With technology that we have today, it makes it easier to share a business model. It does not take any special skills; it only takes someone who is teachable and is willing to follow the plan. Have more questions about Young Living? Ask them in our Young Living discussion forum!